SEO (search engine optimization) is the art of driving online traffic to your website through the organic search engine results page (SERP). The web is a huge place with similar businesses and websites clamoring for attention. SEO is one way website owners get visitors, who are interested in their products, services or content, to their site. Given SEO’s role in online traffic, it becomes important to measure Organic traffic and its impact on your website. Metrics like bounce rate, organic traffic, domain authority etc. paint a vivid picture of how successful your SEO efforts are. These metrics form the basis of the key performance indicators (KPIs) that you can set to measure how successful your SEO strategy is. SEO KPIs are metrics that a marketer uses to measure the performance of their site in search. Once you launch an SEO campaign, setting KPIs you will measure must be part of your overall SEO strategy. These KPIs will enable you to gauge the performance and success of your strategy. They will also provide clarity on improvement steps to take if your site isn’t meeting its target. Say you launched your new assisted living blog and choose bounce rate as one of the SEO KPIs. After a few weeks of measuring this KPI you find your average bounce rate for blog posts is 60%. It is above your initially set goal of 39% average bounce rate for blog posts. Armed with this information, you can improve content quality, page speed and responsiveness to reduce the high bounce rate and get closer to your goal. Organic sessions measure visits to your website from the organic search results page from search engines like Google, Bing and Yahoo. A session is the entire user interaction that occurs on your website within a time frame. A session starts when a user visits your website. The user’s interaction could be reading a blog post or checking out a testimonials page. The session ends when they leave your website. It will also expire after 30 minutes of user inactivity. An individual user can visit your site many times and log multiple sessions. Increase in organic sessions is a vital KPI to measure as it indicates that your SEO strategy is doing its job of getting more visitors to your website. Organic traffic it typically measured via Google Analytics. Growth in organic traffic means your website’s keywords are ranking better and better each month. It tells you that your off-page and on-page optimization are paying off. Low organic traffic could be caused by improper on-page optimization. You can improve organic sessions by crafting proper titles that contain your keyword, writing compelling meta descriptions, creating quality content that your target audience cares about and of course building links to your content assets. After getting people to visit your assisted living community, what next? What actions are your visitors taking on your website? The goal for all site owners is to turn visitors into leads that will ultimately become customers. A lead is any contact your website has with a potential customer. This contact can take the form of newsletter signup, submitting a contact form or a phone call. With analytics software like Google Analytics, you can set up goals and events to track leads and conversions across different parameters. You can track whether your conversion is higher on desktop or mobile, which page brings the most leads and more. You can also use the goals and events you set up to track where leads drop off in your sales process. This information can help you improve your site to increase conversions. Keyword ranking is where your target keywords are placed on the organic search results. The higher you rank in organic for your selected keywords, the easier it is for web users to find your website. High ranking, especially for keywords that are frequently searched for, translates to more organic traffic. Ranking number 1 is the goal for many websites as this placement receives the lion’s share of the traffic. Tracking improvement in keyword ranking is a way to measure how well your SEO strategy is doing. You can track your keyword rankings with tools like SEMRush, Authority Labs and Ahrefs. 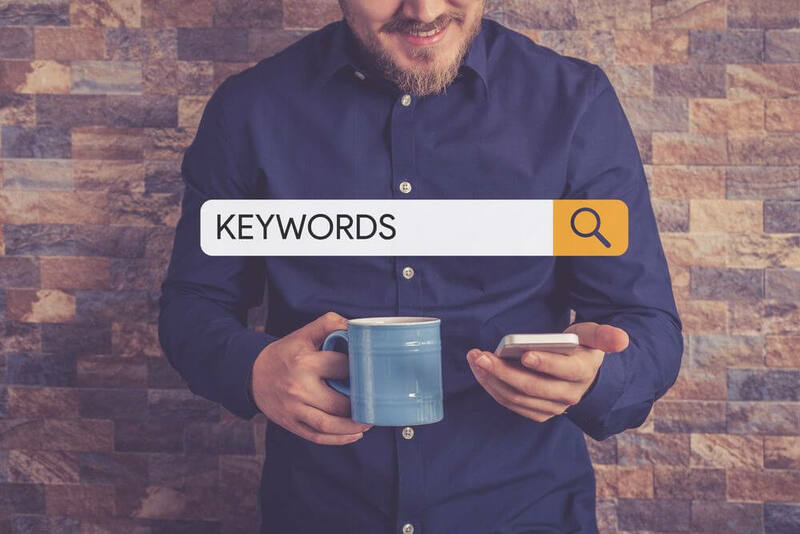 Naturally, your website will rank for keywords like your business name and specific long-tail keywords associated with your website like assisted living, assisted living homes, etc. You can rank for other keywords with more investment in optimizing your website and its content. You should expect to see minor fluctuations in your keyword rankings. This is often because of new algorithm updates from search engines. Keep an eye on your ranking as consistent drops can show an issue with your website or content. Focusing more effort on-page optimization tactics like writing better titles, meta-description and linking to similar internal content. Making your website mobile-friendly. Many internet users visit websites using their smartphones, search engines can penalize your site if users constantly leave your website since it isn’t mobile device optimized. A Bounce is a single-page session on your website. Bounce rate is an important KPI to measure as it tells search engines whether searchers found your website to be relevant to their query. The goal of search engines is to show searchers the most relevant websites with the highest quality content to resolve their query. If visitors are leaving your site without taking any action in droves, it tells search engines that the page from your website may be untrustworthy, irrelevant or hard to navigate. Search engines will stop showing your results at the top and this can cause your ranking for that page to plummet. To correct a high bounce rate, inspect your content and website design. Your meta descriptions could promise what your content doesn’t deliver which leads visitors to feel cheated and makes them leave. Correct any incoherency in content and copy across your website. Make sure you deliver exactly what your promise. Your website may be hard to navigate and that could drive visitors away because they can’t find exactly what they are looking for. A redesign may be necessary to make navigation easier. Also, a website that isn’t mobile responsive may also cause mobile users to leave after a few seconds as the website doesn’t fit on their screens. Pages per session track how many pages on average users visit before leaving. You should be measuring this metric as it provides valuable insight into how users navigate through your website. If a user visits more than one page, than they did not bounce as this would represent a multi-page session visit. One of the things that affect whether you have a good enough pages per session is your site architecture. With a content heavy site like an assisted living community, you should expect to see more pages per session than if you had a single page website. Your sales funnel and how visitors move through can also affect your pages per session figures. This metric provides an insight into user behaviour on your website. As visitors interact with your website, be sure to place a clear call to action (CTA) to direct visitors deeper into your sales funnel. This metric tracks the average time a user spends on your website. Session duration is one of the SEO KPIs for tracking user behaviour and furnishing you with invaluable insight to optimize your website. A long session duration shows that users enjoy your content and are willing to stay longer on your site to interact with such content. It also tells you that provide quality content that resonates with many people. You can take advantage of the longer time visitors spend on your site by adding CTAs that funnel them into your conversion funnel. A low session duration could be due to lack of quality content, difficult website navigation or design issues. Better quality content that focuses on providing factual content to the user rather than one that is aimed at boosting your keyword ranking will work better. Making your website mobile friendly means that more visitors will spend more time on your website. Remember to make navigation easy so users can go from page to page without any hassle. Page speed measures how fast a given page on your website loads. This is one of the most important metrics you will track as it directly affects many other metrics discussed in this guide. Every time a user visits your site, the page speed determines whether they will stay, interact with your website by clicking on more pages or even make a purchase. If a page takes more than 3 seconds to load, users will leave which will lead to your page having a high bounce rate. Since many users are leaving your site, your session duration and pages per session will drop too. These visitors who leave can’t be turned into leads or even conversions and this will negatively impact your conversions and promote higher vacancy rates. Since mobile traffic has surpassed that of desktop, a good percentage of users who visit your site do so via their mobile devices. Neglecting to optimize mobile page speeds will tank your SEO efforts and ranking. Tools like GTmetrix and Google PageSpeed Insights will help pinpoint pages that need optimization for both mobile and desktop. Large files, images and videos are often the reason your website loads slowly. You can get started with improving your page speed by compressing large files and images. Remove any non-functioning files or scripts and use a content delivery network (CDN) to increase your page speed. A broken link is one that leads to a page that has moved or one that doesn’t exist anymore. The page it is linking to may have been unpublished or it may have a new URL. Broken links frustrate users interested in your content and stop them from delving deeper into your website. These users may leave your site for others that offer a better experience. Broken links can affect your rankings and make you lose authority if external pages link to that page that is no longer at its original URL. Use tools like Screaming Frog and Google Search Console to audit your website and find broken links. You can redirect a broken link to new and existing page if they share similar content by using 301 redirect.. Don’t forget to generate a new and updated sitemap to submit to search engines like Google so it knows about the new changes to your site. Search engines bots need to identify and access your assisted living community and all its content to determine how valuable and relevant it is to searchers. This bot finds a link to your website and visits all the public pages on your website. It also visits all the links in your pages. This process is called crawling. After the bot has found your pages and content, it will then collect, analyze and store all the data it has gathered so search engines can use them later. This second process is called indexing. Both processes are related, with indexing taking place immediately after crawling. Crawl errors on your site show that the search bot had issues accessing your website. The bot may not access your entire site because of DNS (Domain Name System) or server errors. Search bots may have access to your site but not specific pages. Here, the crawl error will be URL specific. If search bots can’t access specific pages on your website, those pages won’t be crawled, indexed and ranked. Same applies to your entire site if the crawl error is site wide. Keep an eye on crawl errors by using Google Search Console. You can test if your pages can be crawled by using the “URL Inspection” feature in GSC. DNS errors: The search bot can’t connect with your website as it can’t look up your URL due to DNS issues. You can fix this by contacting your DNS provider (the company where you registered your domain name) to ascertain where the problem is coming from. Server errors, the search bot can’t access your website because your server took too long to respond and the request timed out. In this case, the bot can get to your site but can’t view the pages because the server took too long to render them. There are many types of server errors (timeout, connect failed, no response etc.) and using Google Console to diagnose the exact one is the first step to correcting it. Robot.txt failure: You don’t need this file if you want search engines to crawl your entire site. If you have pages you don’t want search bots to crawl and index, then having this file is necessary. If your assisted living community site brings up this error, it means search engines aren’t crawling and indexing new pages and content on your website. To fix this error, make sure you robot.txt file is properly set up and ensure the file is not instructing Google not to crawl your site. Check the pages you don’t want crawled and the ones you want crawled. Also, you can use a server header checker tool to see if your robot.txt is showing a 200 or 400 error so you can correct that. Most URL errors can be fixed with steps discussed under Broken Links in the preceding subtopic. This is the last page a user visits on your assisted living community before leaving your site. Exit pages aren’t inherently bad. A visitor can exit your website from your contact page after sending a note or confirm purchase page. Exit pages become an issue when visitors are leaving your site on pages meant to direct them further into your website. It means they are leaving earlier than they should. This is why you should track this SEO KPI. It shows the behaviour of users who are leaving your website. To check your top exit pages, go to Site Content in Behavior Reports in Google Analytics. You should look at the exit rate for each page. If users are leaving on pages that aren’t meant to be exit pages, you will have to do some UX optimizations. Look at navigation, design and content to figure out the reason why your visitors are leaving on that page. It may be an annoying pop-up or other issues you can easily fix. As you build credibility through your content, your inbound links will grow. These links are important as they signal to search engines that your website is trustworthy and authoritative. While it may seem like a good idea to pat yourself on the back for a solid job getting new links, watch new links gained like a hawk. This is because links impact your site’s reputation and rankings on search engines. For example, if your assisted living community gets a lot of links from spammy sites, these links which should up your reputation and ranking are tanking it. This is because while inbound links to your site are crucial, their source is even more important. Monitoring your new links acquired means you can catch problematic links from spammy sources and disavow them quickly. Google Search Console has a database of sites that link to yours. An audit of the domains linking to you should fret out toxic links. Are pages linking to your site relevant or related to yours? Does the website look spammy? Is the anchor text relevant to your content/page? If you find links from irrelevant pages on spammy sites linking to yours, contact the site to take it down. If there is no response, you can disavow the link by submitting a reconsideration request via Search Console and uploading your list of problematic links you want to disavow via the Google Disavow Tool. Google will add a no-follow tag to those links to your site and its effect on your rankings will vanish. Domain authority (DA) is a link metric score developed by Moz that estimates how well your domain will rank on organic search engine results. This score ranges from 1 to 100 with a high your score corresponding to higher chances of ranking. While DA isn’t a metric used by search engines to determine rankings, it is important to monitor it as you begin the process of link building. You can use DA to compare your site to others in the assisted living industry and implement both SEO and content changes to improve your DA score. One of the SEO changes you can implement is improving your link profile by getting backlinks from other sites with a high DA. Keep an eye on your DA score using MozBar. This is another ranking score developed by Moz that estimates how well individual pages on your website will rank on search engine result pages (SERP). Like DA, page authority has a score of 1 to 100 with a higher number denoting a higher ability for that page to rank well. Again, page authority isn’t a search engine metric but can be an invaluable comparative one for any site to track. You can track your specific page against others in the assisted living community space and implement changes to better the chances of your page ranking well on SERPs. Tracking these SEO KPIs and optimizing them to be better will often lead to an increase in general business KPIs like getting more customers and increasing your revenue. Use analytics software and tools to help you optimize your assisted living community site by improving on areas where your SEO efforts are weak. What KPIs do you set prior to launching your SEO campaign? Did you have this discussion with your SEO consultant? I love hearing from Assisted Living facility owners so feel free to leave a comment below. And of course if you are interested in professional help, don’t hesitate to contact me today.